Superfoods. Do they really have super powers? SUPERFOODS: DO THEY REALLY HAVE SUPER POWERS? With superfoods, you get more nutritional bang for your buck. These foods have more vitamins, minerals, antioxidants, healthy enzymes or good fats than others, making them more beneficial to your health and well-being. 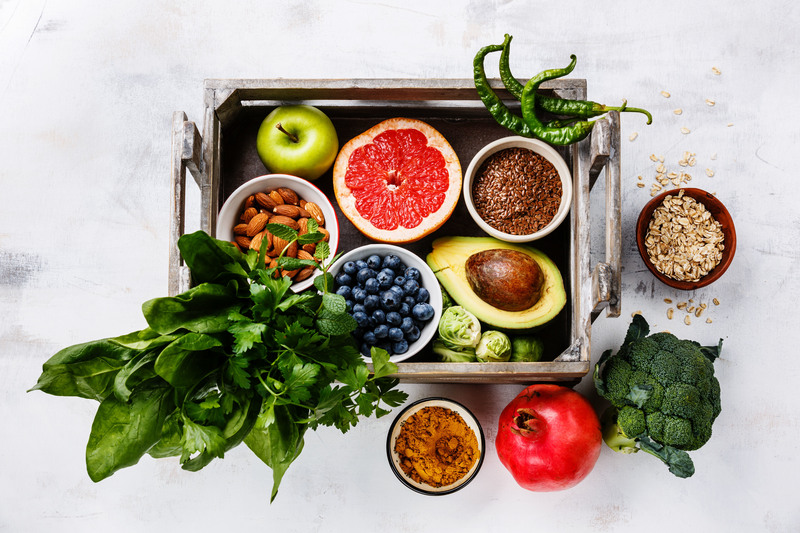 In fact, nutritionists and dietitians generally agree that the consumption of superfoods can help to prevent or even cure a range of illnesses. That’s certainly a good reason to call them super. From sweet potato to salmon, Goji berries to cacao, there are superfoods to suit all tastes and budgets. Here, we list a few of our favourites and how to enjoy them. Chia seeds are a great plant source of omega-3s, good fats and dietary fibre; and can act as a natural thickener. Add them to your oats for breakfast along with some stewed fruit for a delicious and nutritious start to the day. Compared to its relatives in the whole grain family, quinoa is low GI, high in fibre and higher in protein. Quinoa can be prepared similar to rice – and is absolutely bang-on served with fresh herbs, spices, lemon juice and chili. Kale great source of vitamin C and full of nutrients such as folate. It can be quite bitter on its own – try steaming it with garlic and ginger, sautéing it in some butter, or shallow frying kale chips with a squeeze of lemon juice. This is for the tea lovers! Green tea is full of antioxidants such as flavonoids, which have been known to prevent heart disease and stroke. Try this soothing drink in between meals to cleanse your palate and boost your daily antioxidant intake. Looking for a sweet hit? Blueberries are rich in anthocyanins and low in kilojoules, and were one of the first foods to gain the superfood tag. Scatter a handful on your muesli, snack on them during the day, or stir through honeyed yoghurt for an after-dinner treat. Delicious.